Mystique has used her powers to go against the X-Men in their battle for mutant-human coexistence for years, but in this complicated world, Mystique begins to find the battle lines are no longer so clear. In exchange for protection, Mystique reluctantly agrees to work for Charles Xavier. 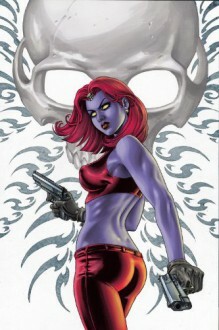 But instead of being invited to join the X-Men, Mystique is asked to participate in politically sensitive operations as a secret agent. Can this former mutant-rights terrorist be trusted?